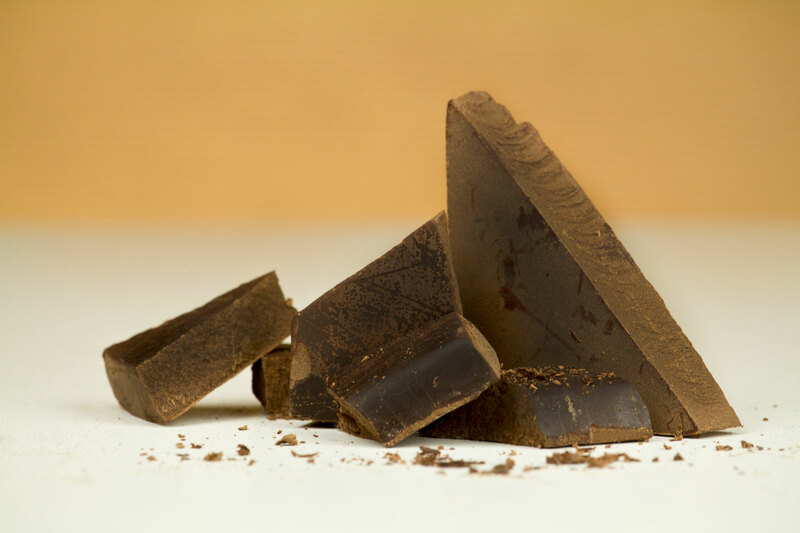 The magic of the compounds that MycoTechnology extracts from mushrooms is that they can be used to solve some of the toughest challenges in the food and beverage industry, like improving flavor profiles and reducing the need for sugar in a variety of products, including chocolate. Sweet. With less sugar. The story of MycoTechnology began five years ago when Alan Hahn, now the CEO of MycoTechnology, received a phone call from Pete Lubar, now the COO. Hahn and Lubar had previously worked together in multiple startups in Silicon Valley, both coming out of the world of high technology. Lubar told Hahn that he was interested in investing in a technology company, and would Hahn come and look at it. The company was in Denver, and Hahn was living in Southern California at the time. “Will you take a look at it and see if I’m crazy or not?” Lubar asked Hahn. “Oh, yeah, happy to. What kind of technology are we talking about?” Hahn asked. “Mushroom technology,” Lubar replied. “And I just … I didn’t even know what to say,” Hahn told SnapMunk. Hahn had wanted to get into the food business because of his own personal challenges with food. “I had been diagnosed a few years before as a Type 2 diabetic, and really wanted to change the paradigm when my doctor told me, ‘If it tastes good, don’t eat it. It’s bad for you. And if it tastes bad, it’s probably good for you.’ And, you know, that’s a cute little line, but it is not a way to live. Compromising on taste is no fun. Eating is an emotional, social endeavor. To me, that just wasn’t a satisfactory answer,” Hahn explained. After he had looked at the technology, Hahn became fascinated by the possibilities. One could say that he saw the magic in the mushrooms. He told Lubar that he would not only recommend an investment but that he would invest as well. 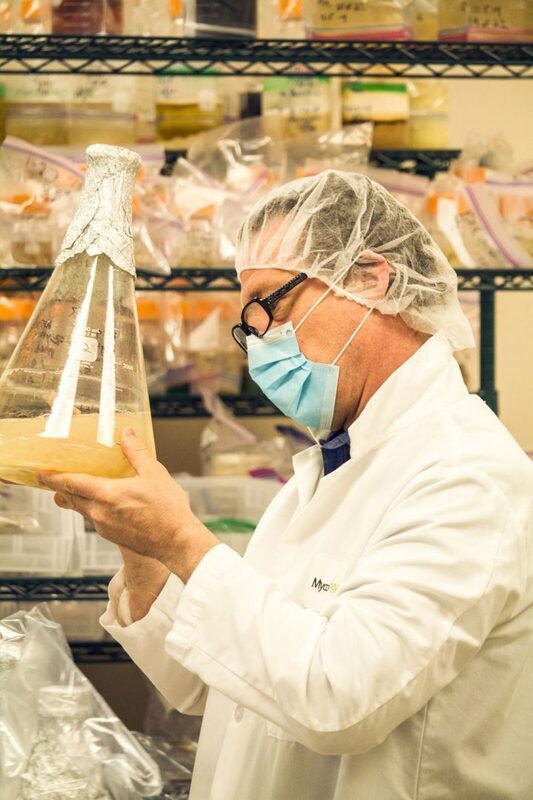 A move to Denver for Hahn followed, and he and Lubar became the co-founders of MycoTechnology, the company they formed along with Penn State Ph.D. and microbiologist Dr. Brooks Kelly, who was also the originator of the process, and Jim Langan, a chemistry major. The company has since raised $10m in venture capital from investors such as Seventure Partners, Middleland Capital, S2G Ventures and Closed Loop Capital. MycoTechnology has been able to blend the kingdom of fungi with that of plants to create a premium quality protein product that has a good taste and a neutral aroma (no mushroom smell) – and here’s the sweet part – also with powerful masking properties. “The way food companies tend to mask off-notes is with the number-one masking agent, sugar,” said Hahn. “Our ClearTaste® extract was the first organic bitter blocker, that allows you to remove bitterness in foods and off-notes, sourness, astringency, so you don’t have to cover it up with a bunch of sugar. And one popular application is to combine with high-intensity sweeteners, like Stevia.” Sweet news for sugar substitutes since the use of a bitter blocker could mask the bitter aftertaste that some of these substitutes tend to have. Molecules from the mushroom extract remain on the tongue for just 10 seconds before being flushed away by saliva, but the brief contact is long enough to block the bitter flavors, Hahn said. 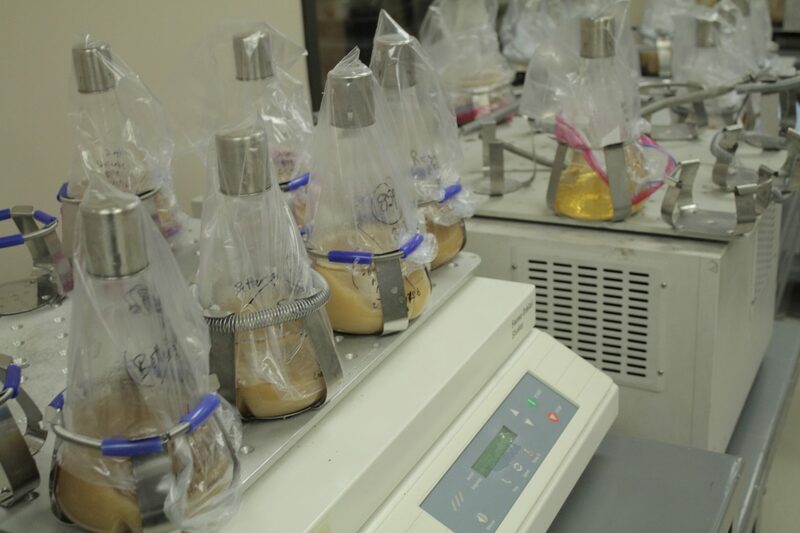 While MycoTechnology isn’t the only company developing bitter blockers – biotech companies Chromocell and Senomyx also make artificial or synthetic bitter blockers, with customers including brands such as Coca-Cola, Nestlé and Kraft Foods – its use of mushrooms is novel, according to John Coupland, professor of food science at Penn State. Bitter blockers are being used by brand owners to reduce sugar in their products as they face increasing public and regulatory scrutiny for the role sugar plays in growing health problems. Especially following the publication of a scientific paper which suggests the sugar industry sponsored a research program that successfully cast doubt about the hazards of sugar (sucrose) while promoting fat as the dietary culprit in Coronary Heart Disease. MycoTechnology is creating examples for food companies to follow. “We don’t want to create our own brand for consumers. But we do want to demonstrate to food companies that, ‘Wait, you can really make some amazing products.’ So, we have partnered with a chocolatier to create a chocolate bar that is 92% cacao and tastes like a 70% bar. A 70% bar has about 18 grams of sugar. Our bar will taste the same at 4 grams of sugar,” Hahn said. These chocolate bars will be available for the public to try. “We’re opening it up to the public so that they can buy the bars, give us feedback that we can share with other chocolate companies, and get them to produce bars that taste this great without having to overdo the sugar,” said Hahn. “If it tastes bad it’s probably good for you”. That is the truest statement I have read in a long time! Cutting sugar is only the beginning and it can only be a win-win for the food industry and the consumers that eat that food daily. I like this idea. The main thing with using “real” chocolate is how bitter it can be regardless of how you use it. I would be interested in trying something that uses mushrooms to hide the bitter. So we are saying that the reason sugars are added to so many foods is to mask the taste of the chemical they are putting into them? Plant based proteins 🙂 Sounds like something I could get used to being a vegetarian and all!